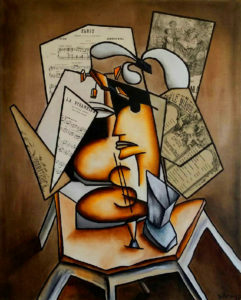 Cubism as an art genre defies literal perception. It makes us feel, at first, confusion. But then, as though ascending from a hidden-but-familiar, dark place, (or might we consider, descending a staircase) the comforting sensation of realization drifts into focus. “AH! I get it!” we might say, the longer we look. For many, Cubism occupies that defined status of being challenging to enjoy and interpret. Still, there are masters of the form with whom most would be familiar—by name if not by works. Chief among them are Pablo Picasso and Georges Braque. 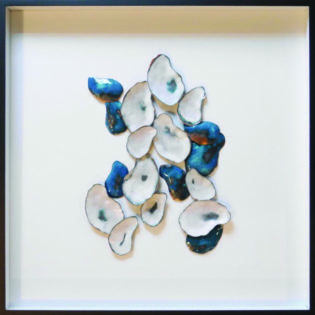 Their early exploration in the techniques of observing, dismantling, re-faceting and reassembling time, space and matter function as the very foundation of a genre with influences reaching all the way into the present. Cubism isn’t dead. Indeed, in the same way artworks in Cubism posit a retelling of our understanding of the natural order of things, Cubism itself lives outside of the normal progression of time. A short study of the origins of the technique will soon lead the curious appreciator down avenues as disparate as Futurism, Constructivism and Art Deco. It is certainly a surprising realization that such an abstract form can be so viscerally felt all around us in modern art and design. entire chapters. There are a handful of surviving experiments in Cubist architecture—mostly in the Czech Republic. 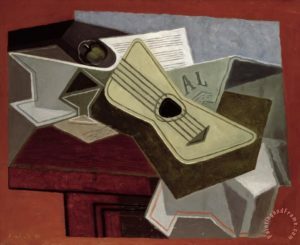 Other examples of related themes in Cubism can be found in the deconstructionist mentality of art deco designers and artists such as Juan Gris as seen in his painting Guitar and Newspaper (1925). 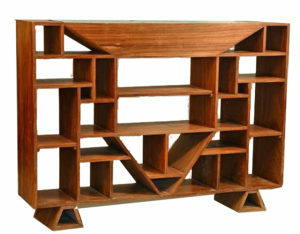 Cubism’s geometric shapes and forms were adopted and utilized by designers of everything from functional housewares and appliances to home decor and jewelry. With the arrival of the huge advertising boom of the 1920s and 1930s, the designs seen in magazine advertisements and theatre posters also reflected the influence of the forms of Cubism. 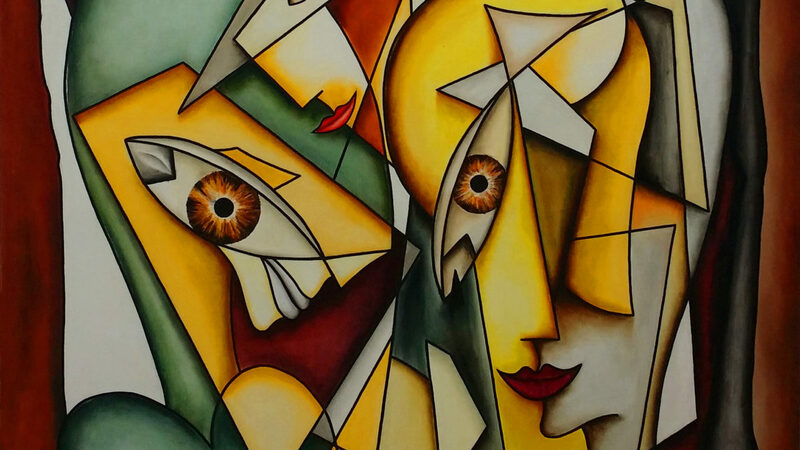 Alain describes his work as “Neo-Cubism.” His contemporary take on this seminal art form is vibrant and engaging, even while dissecting and reconstructing quotidian activities. 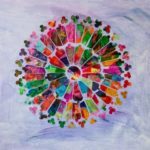 In Part 2 of this series, we offer a more in-depth look at Alain’s work and what motivates him to delve into a medium under-represented in today’s art. Until then, we should all do ourselves a favor and seek out works in Cubism to really take time to unearth the feelings and ideas that are encoded within them. Take a look at Beraud’s work HERE.